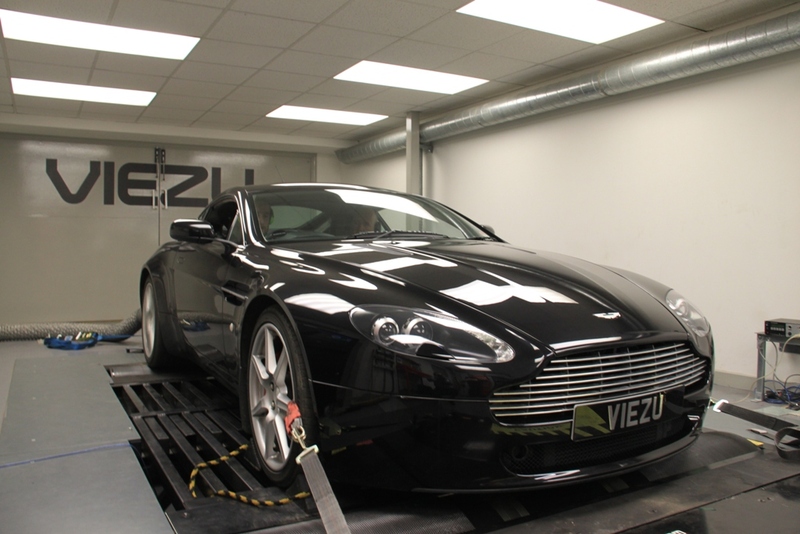 Aston Martin Vantage TuningThis week we have been finalising our Aston Martin Vantage tuning programmes, we have already developed the full read and write ecu remapping for the Aston Martin Vanatge. But this week we have been spending invaluable time perfecting the tunuing files live on the dyno. We are confident we can now offer the very best tuning in the world for the Aston martin Vantage, all through the OBD port or diagnostic port – so there is no need to remove the ecu and its completely undetectable Full results to be released in time for next week Viezu can also supply a stunning range of Aston Martin Performance products, including Aston Martin Performance exhaust systems for all models, including AM V8 Vantage exhaust systems, racing and performance catalytic convertors, air filters and much much more. For further information on any Aston Martin and Vantage tuning requirements – please e-mail us at info@viezu.com Viezu, www.viezu.com offer ecu remapping and car tuning services worldwide, ecu tuning for all makes and models of vehicle.